Property 3: Serene & Quiet Russell Springs Log Cabin! Property 4: Private Catch & Release Lake - Boat Rental Included! Close To Lake Cumberland! 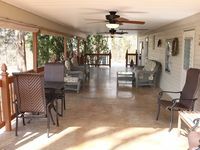 Beautiful Custom Built Lake House only $250/night through end of April!! Property 5: Beautiful Custom Built Lake House only $250/night through end of April!! Property 8: Private Catch & Release Lake—Boat Rental Included! Close to Lake Cumberland! Rustic farmhouse on secluded lakefront & Close to marina! Renovated and Updated! Property 9: Rustic farmhouse on secluded lakefront & Close to marina! Renovated and Updated! 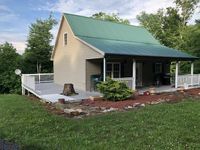 Property 10: Cabin on the Cumberland River, 8 miles from Wolf Creek Dam. Boat ramp near by. Newer 3BR, 2 BA, two-level, home with lake view, great for families (sleeps 8). Property 11: Newer 3BR, 2 BA, two-level, home with lake view, great for families (sleeps 8). 3 Bdrm Lake House Getaway - Three Minutes To Launch! Property 13: 3 Bdrm Lake House Getaway - Three Minutes To Launch! Romantic Master Suite - Park Steps from Door - By Lake Cumberland State Park. Property 16: Romantic Master Suite - Park Steps from Door - By Lake Cumberland State Park. Property 17: Visit a Piece of Paradise! Property 19: Rural rustic log cabin at Lake Cumberland. Property 22: Private Catch And Release Lake--Boat Rental Included! Close to Lake Cumberland! A little piece of heaven with a view of a waterfall.Whole house or 1 of 2 units. Property 24: A little piece of heaven with a view of a waterfall.Whole house or 1 of 2 units. Pleasant Valley 3 miles from marina! Property 25: Pleasant Valley 3 miles from marina! Lake House Hideaway, 1 Mile Above Jamestown Marina!! Property 31: Lake House Hideaway, 1 Mile Above Jamestown Marina!! Close to Jamestown Marina-3BR/2BA Screened in front porch! Property 33: Close to Jamestown Marina-3BR/2BA Screened in front porch! Property 34: It is a cabin house. Near in the lake where you can hike, walk, or fishing . Property 43: Adorable Cabin In Beautiful Wooded Surroundings! Property 46: This charming cozy cottage has a private hot tub, deck for fishing. Watch the sun set on the lake, two minute drive from Beaver Creek Marina! Property 49: Watch the sun set on the lake, two minute drive from Beaver Creek Marina! Property 50: Cozy Lakefront Cabin - Boat launch & Stunning View of Lake Cumberland!